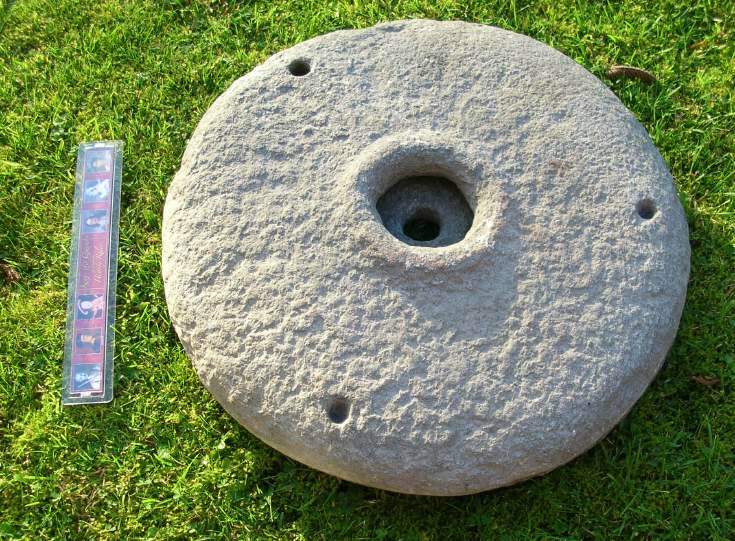 The upper of a pair of circular Quern Stones made of grey schist, with a central hole of 95 mm diameter. The milling side is flat but slightly concave, to fit with the domed lower stone. There is a raised rim and three small outer holes of 20mm diameter, equi-distant from each other and about 45mm from the outer rim. One pierces the whole stone and the other two are about 15 mm deep.